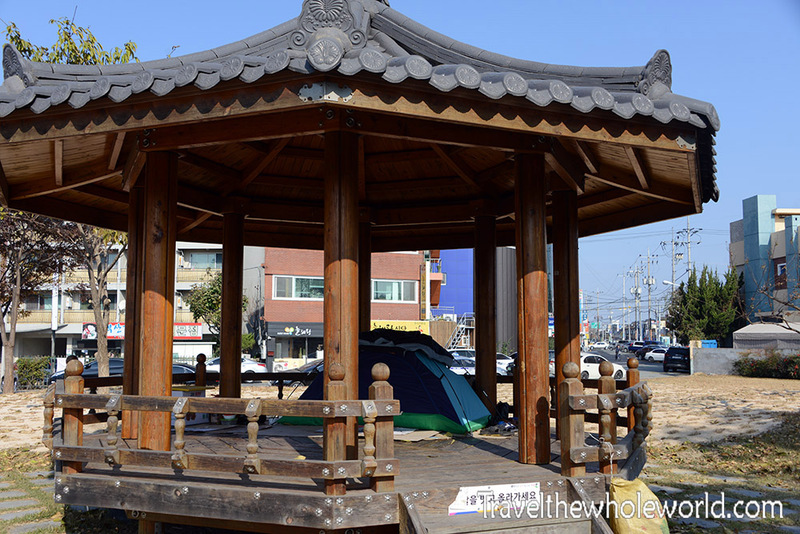 Anyone who visits South Korea will quickly notice all the shops and buildings that carry the name Shilla or Silla. When Korea was unified, it had three major dynasties that ruled for nearly two thousand years. 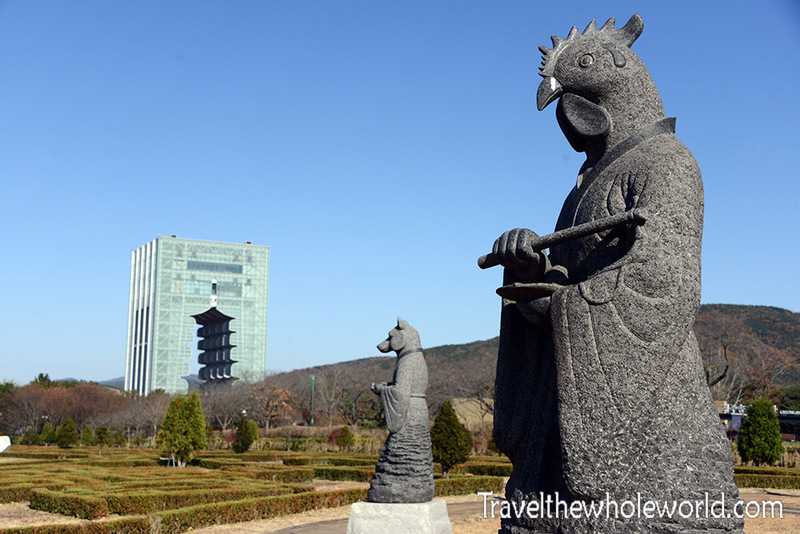 The first and most powerful was the Shilla dynasty, with the city of Gyeongju as its capital. 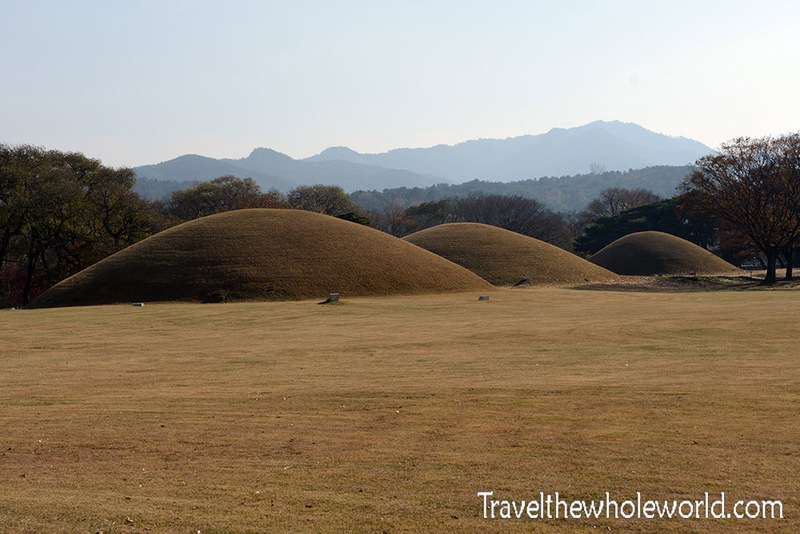 While Gyeongju seems unknown to most foreigners, it’s one of the most important cultural and historic places in the Korean peninsula. 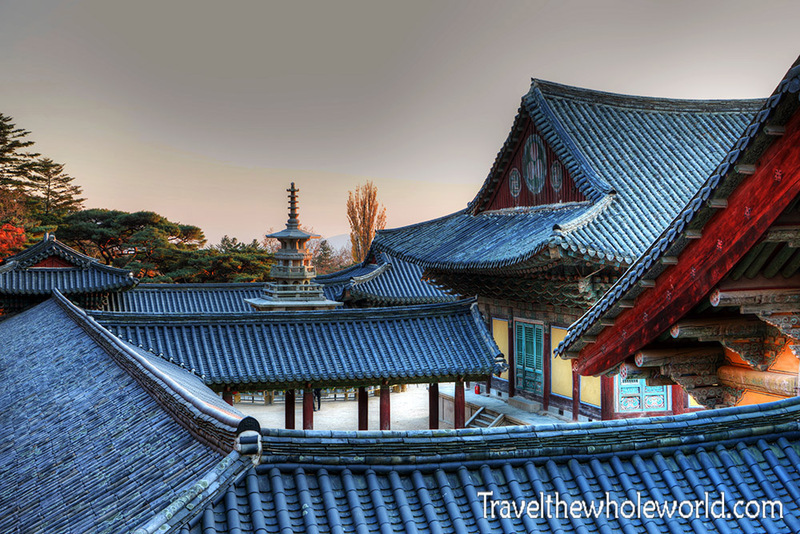 As a matter of fact, the Bulguksa temple photographed above is considered the most important national treasure in South Korea. 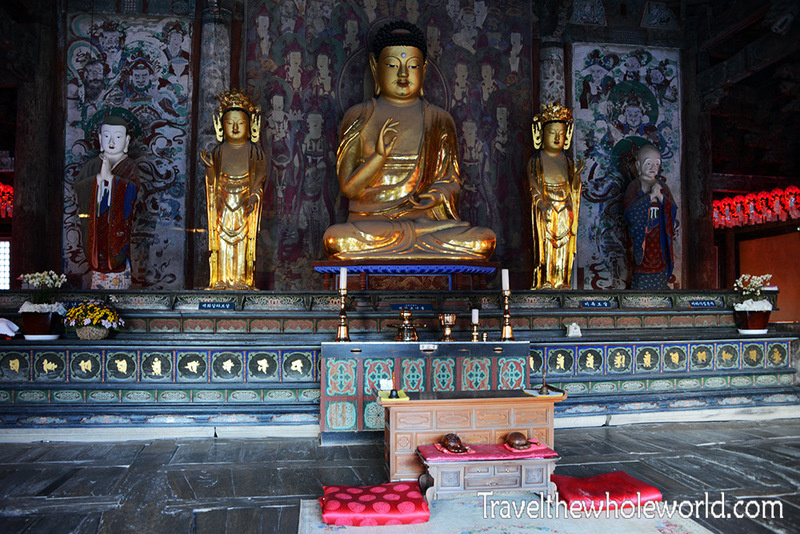 The temple is massive, and contains lots of pagodas, buddhas, and several important artifacts. This scene above shows the Blue Cloud and White Cloud ‘bridges’ that lead to their temple gates above. After going up a few sets of stairs and making some turns, I came to the heart of the Bulguska complex above. It was one of several buildings that housed a large Buddha statue seen below. 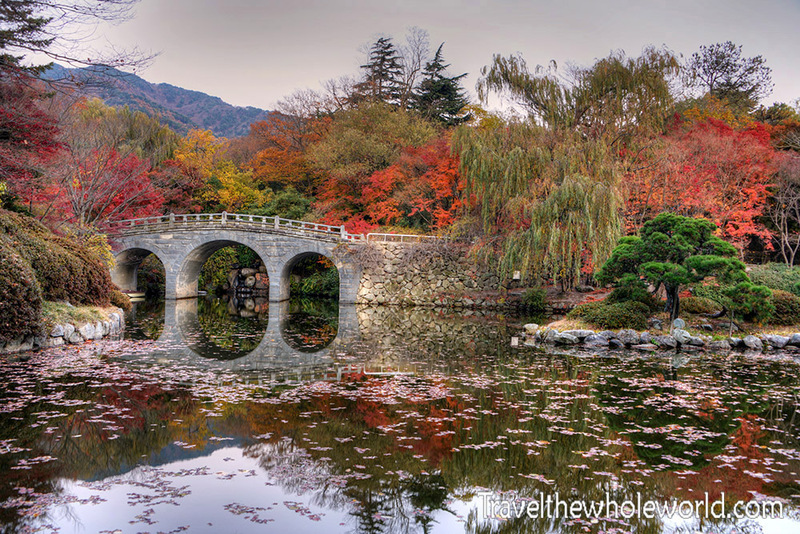 There are over 300 national treasures in South Korea. These can range from historic buildings, artwork, or natural features that are deemed culturally significant. Bulguska temple is home to seven of these national treasures. Both the pagoda and the Buddha photographed here were some of the first national treasures of the country, at number 21 and 26. Even more impressive to me than the Buddhas were these soldiers. 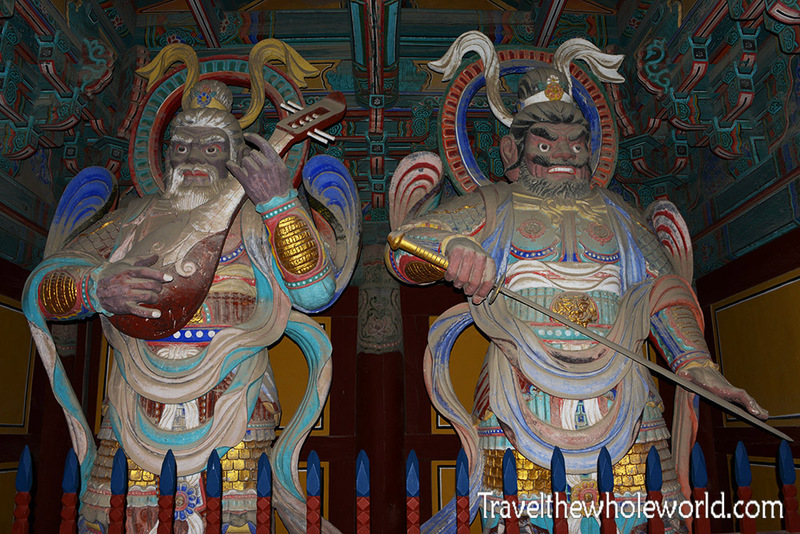 Known as protectors of Buddha, they guarded one of the gates that enters the Bulguska temple. 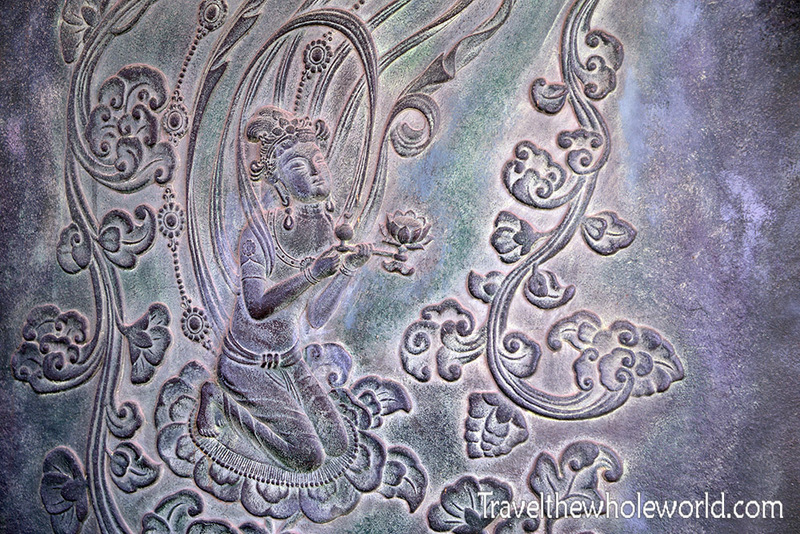 There were two on each side of the gate entrance, making up all four of Buddha’s legendary protectors. Even in North Korea, at a temple I visited they still had the ancient protectors in tact. This is a HDR photo that I took of the complex’s beautiful rooftops. I’ve seen several temples built with this architecture in South Korea, and even a few in North Korea, but this was probably the only place where I was able to get a view from above. 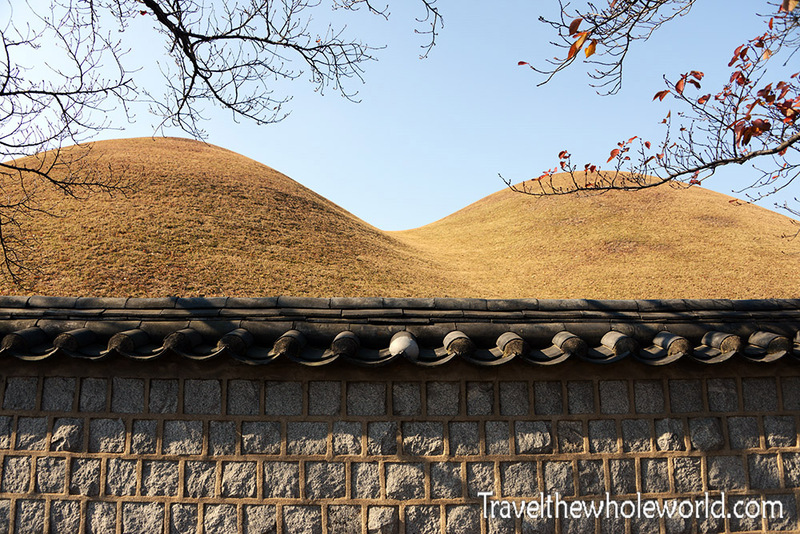 I could easily post dozens of photographs of Bulguska alone, but that wouldn’t leave any room for all the other things to see in Gyeongju! This photo above is actually near the front of the Blue Cloud and White Cloud bridges. I loved the decorations here done with pines trees and gardens. The photo below shows one of their small ponds and bridges taken in HDR. I left the temple during dusk, and was rewarded with some beautiful views of the mountains in the distance as well as some scenery within the temple grounds. The photo above was a view looking out over the main gate, the lamp below was one of many in Bulguksa. 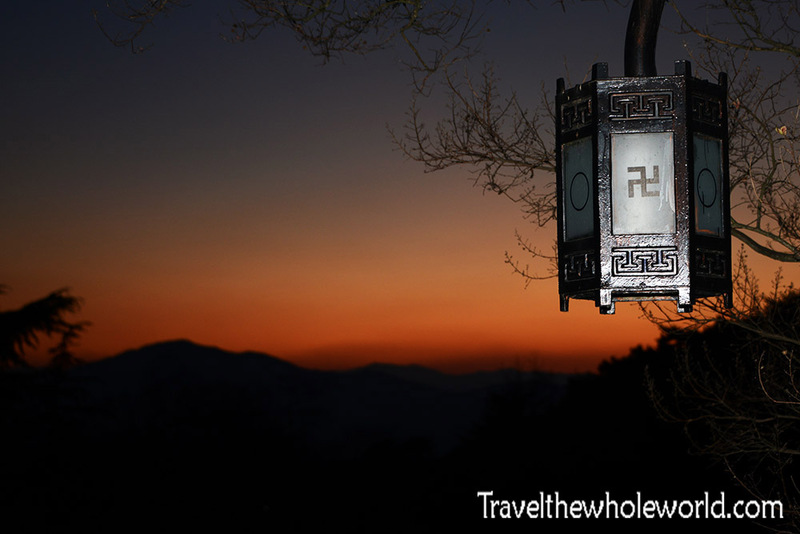 Sadly the Swatika now brings up memories of the Nazis, but this symbol has always had a peaceful meaning that has seriously existed for over three thousand years! While Bulguska temple has many of the country’s top national treasures, another important treasure is located in the heart of Gyeongju. This tower is known as Cheomseongdae, which literally means star gazing tower in Korean. 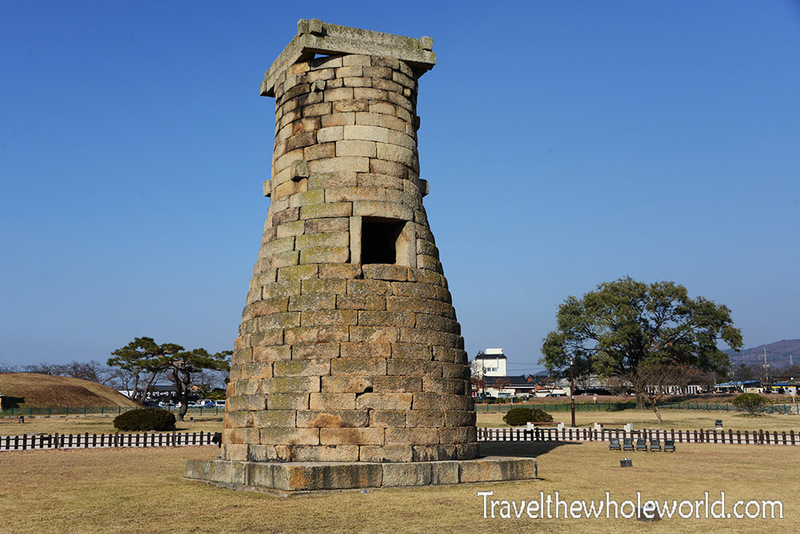 Built by the Shilla dynasty in the 7th century, this tower is believed to be the oldest surviving astronomical towers in Asia, and perhaps even the oldest in the world! You can see there are 27 layers of stones in the tower, and some theorize this was done intentionally for Queen Seondeok, the 27th Shilla ruler who was nicknamed “Constellation of the Stars”. 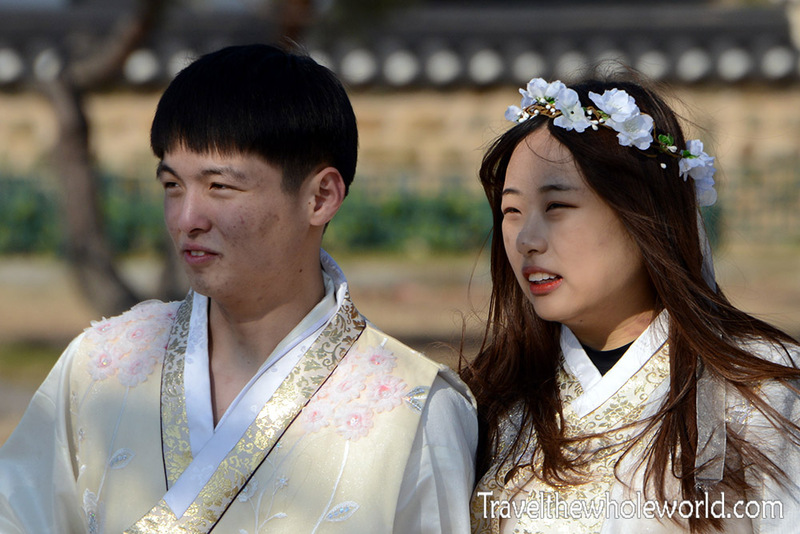 When I later returned to the palaces in Seoul, I saw lots of couples dressed up in traditional Korean clothing. It seemed pretty common throughout Seoul’s historic placesactually, but in Geyongju this was the only couple I saw wearing traditional clothing. 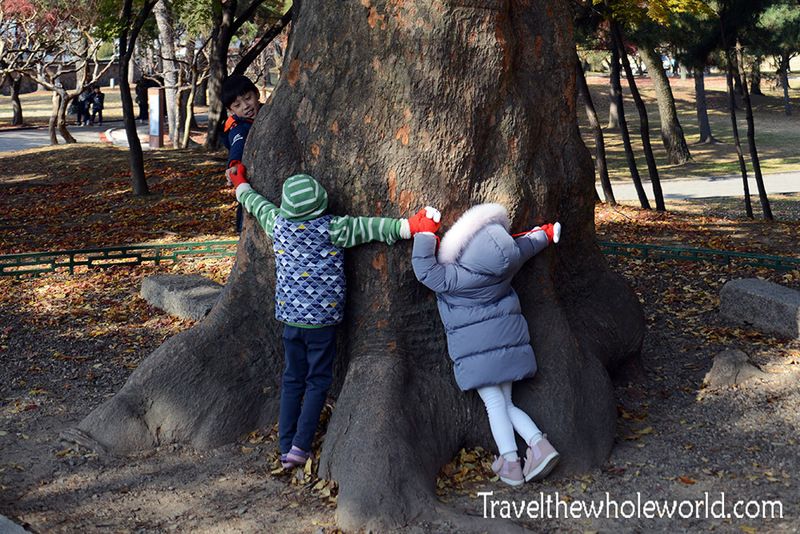 They were braving the colder temperatures at the Cheomseongdae tower. 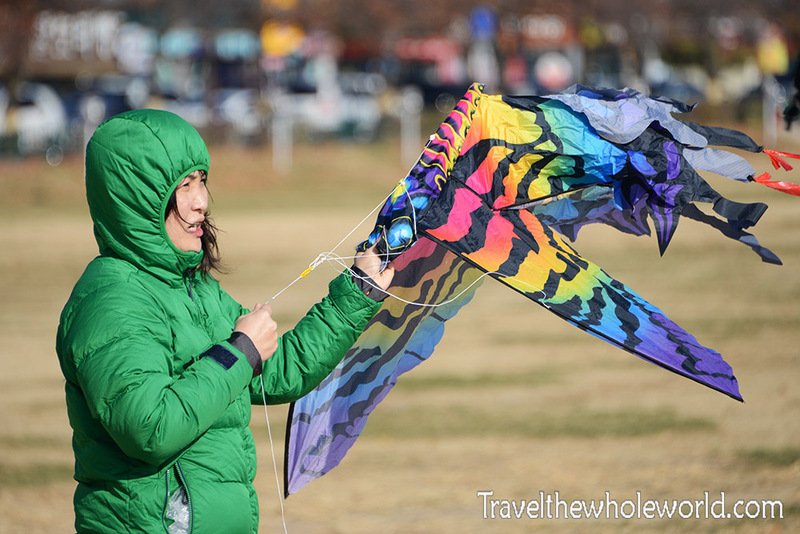 On my most recent trip I spent roughly a month in South Korea, and nearly everyday seemed to bring strong winds. The observatory is surrounded by a large open field, with many people taking advantage of the windy days. This lady didn’t exactly look to be having fun, but she was someone else here who didn’t let the cold stop her! Something else in the observatory grounds that you can’t miss in the distance are these large mounds. 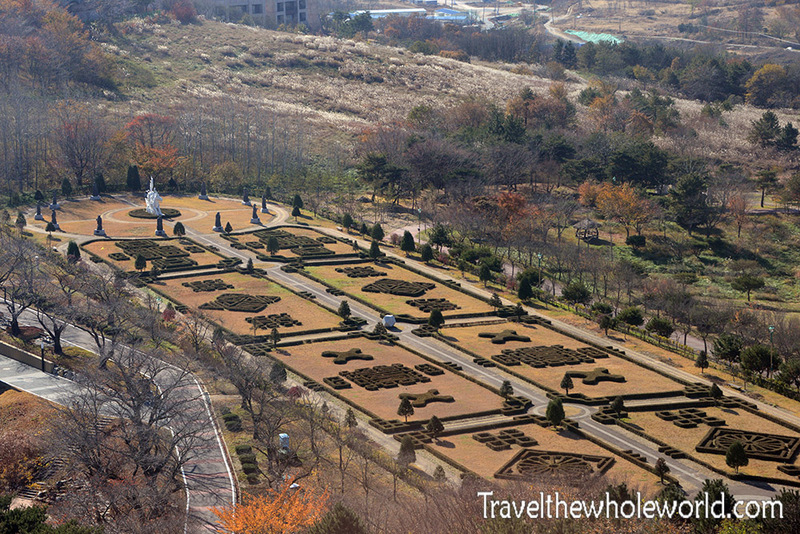 These are actually tombs where ancient Koreans have been buried. 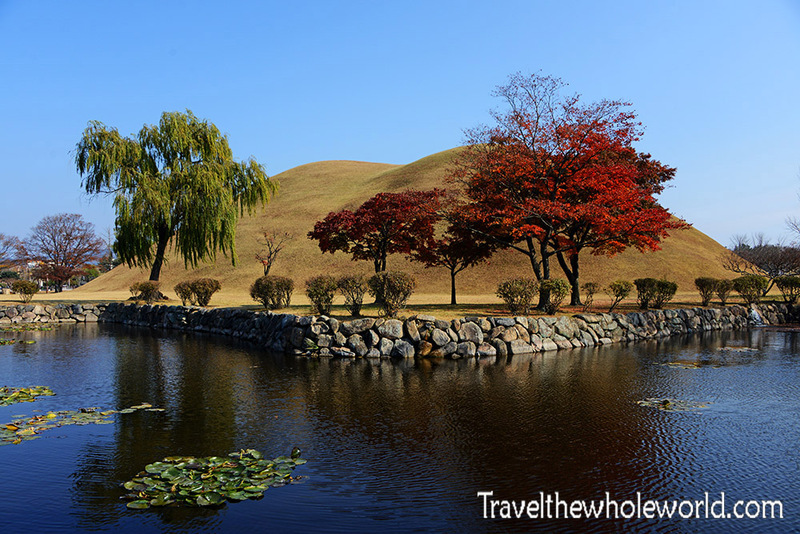 They exist all over South Korea, but Gyeongju has more than any other region in the country. 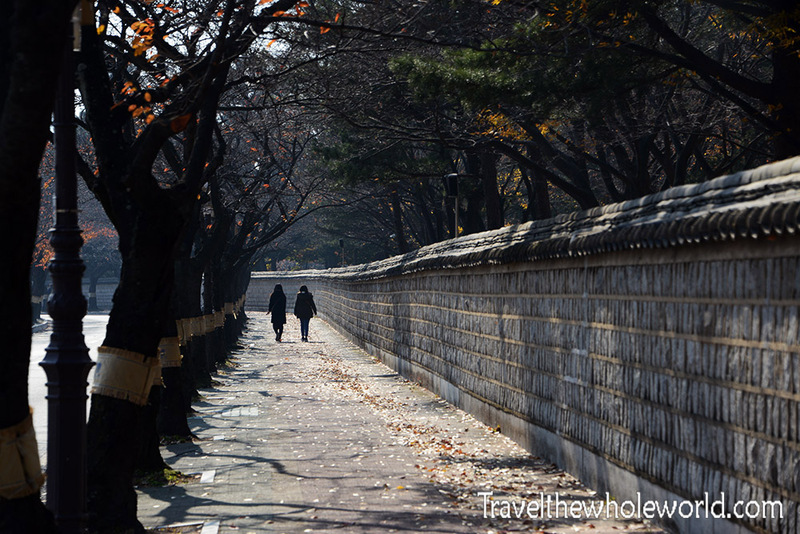 In another part of the city are the famous royal tombs, where leaders of the Shilla dynasty are now buried. The royal tombs are protected by a wall that probably has a circumference of over a mile (1.6 km) but is open to everyone. Even as I passed by the wall, I could see some of the massive royal tombs from the outside. There are more tombs in here than I can remember, some are clearly from more important people or families than others. Some have their own temple gates to enter them, while others like these have a pool and garden by. Others are simply there on the side of the trail as in the photo below. I assume they are all part of the royal family since they are on these grounds. Aside from the tombs and history here, just walking through the royal tombs is a rewarding experience. 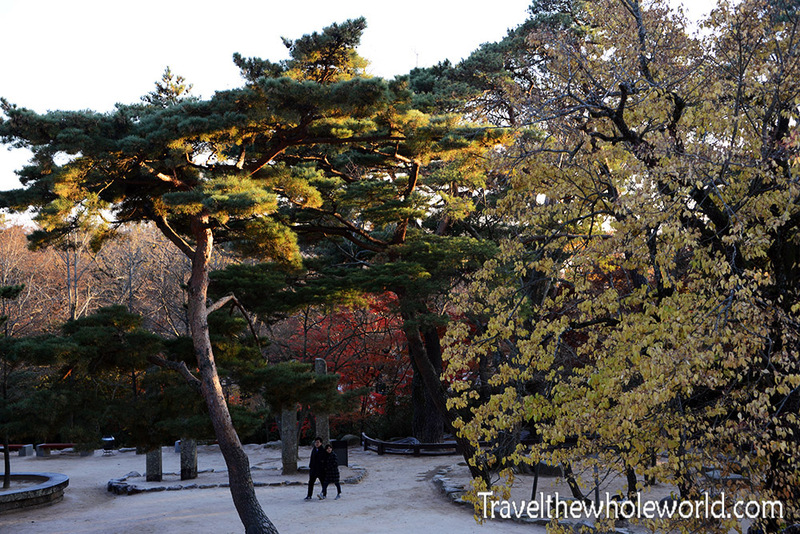 As I learned from a Korean documentary video, pine trees have a special meaning to Koreans. When royals die, their tombs are often surrounded by pine trees, as existed here. Their upward growth symbolizes the person’s soul connecting to the sky, and even in modern times their coffins are made by pines. At the time I visited, I didn’t realize the significance of the pine trees and didn’t take any photos of them. Instead these tree huggers got my attention. Elsewhere in Gyeongju, I captured this photo of a bird resting in a pine tree. I had never seen this species before, so I was hoping it was unique to Korea or at least the Orient. 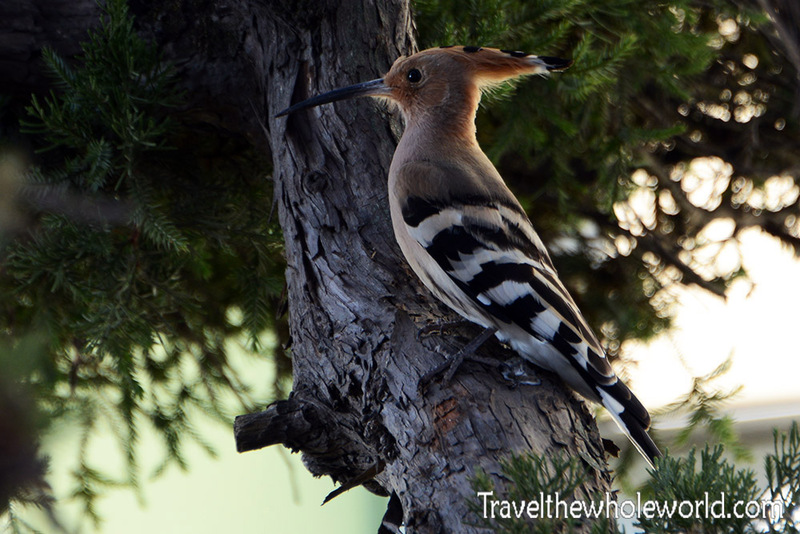 I was a bit disappointed to find out that the Hoopoe bird lives all the way from parts of Europe and Africa all the way to Asia! I found out that many cultures respect the bird, they can even be seen in ancient tombs of Egypt. I don’t think they have a special meaning in Korean, but according to the Estonians I’ve been marked for death 🙁 . 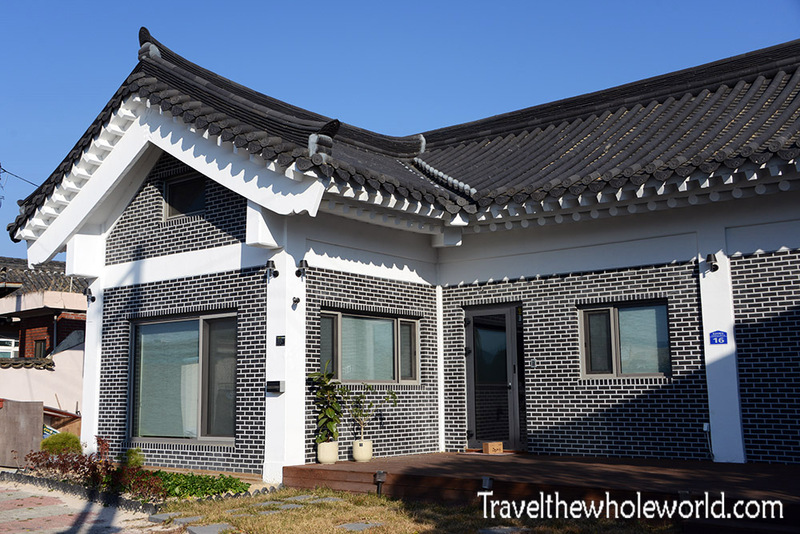 During my random walk around parts of Gyeongju I came across a few interesting houses. It seems the vast majority of Koreans live in high rise apartments buildings, but I saw a few new houses in Gyeongju built with a combination of modern and traditional architecture. I assume these guys are extremely well off to be able to afford a single family home in a country short on space. In another extreme, it seems like someone took the ultimate cheap route and bought a tent and pitched it in this gazebo! 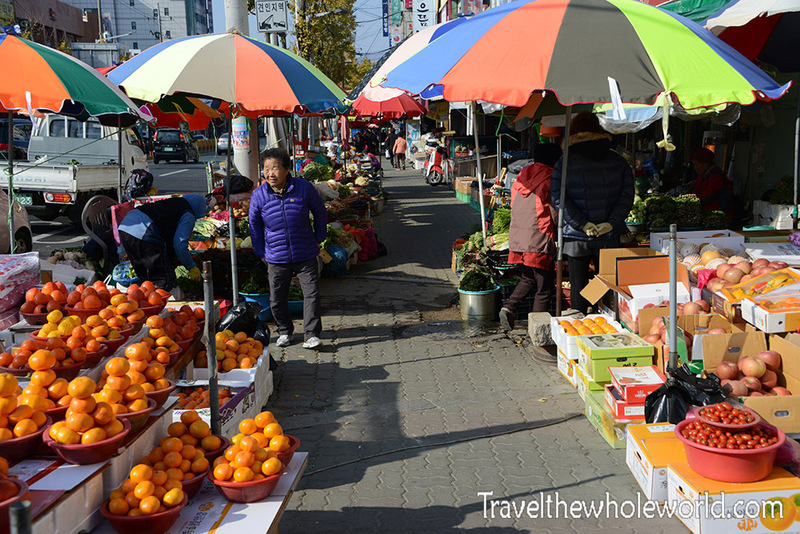 Something else known about Gyeongju is their covered markets. According to my map, this large market that I came across wasn’t even the biggest one in the city. This was hard to imagine since this one seemed to cover a few blocks with all types of vendors. 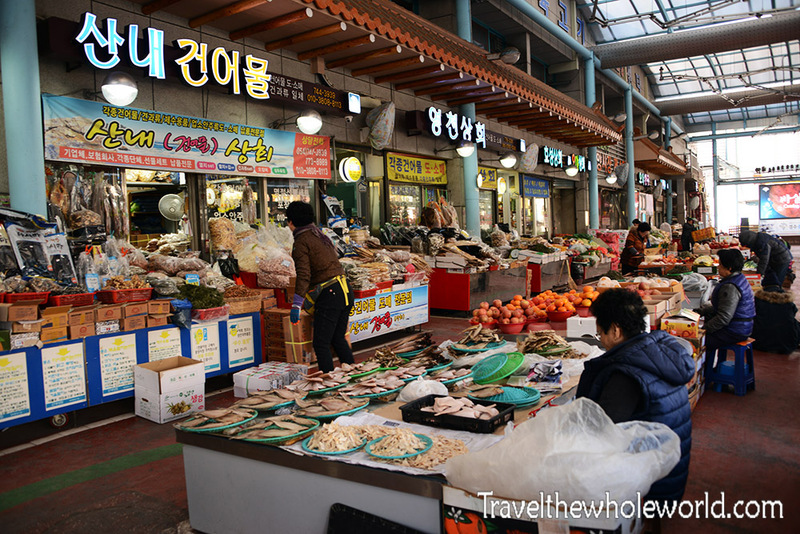 The photo above shows the entrance to the market where they mostly sold produce. 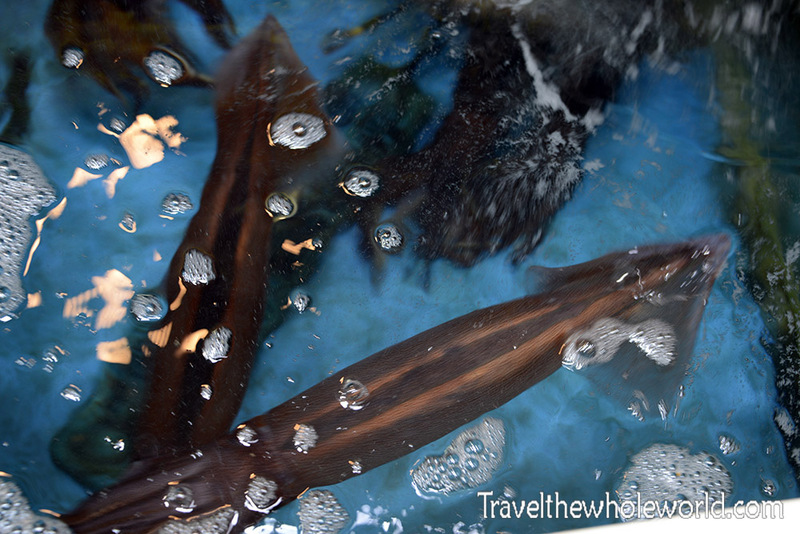 In the photo below you can see a large tank that was filled with live squid. I’ve never been a fan of seafood, so honestly Korea was one of the few places that I found a bit difficult to find food. Needless to say, I didn’t purchase any of the squid, but I did consider buying a bucket and releasing one into the ocean. Giving a squid his freedom didn’t happen, but I at least avoided eating any. 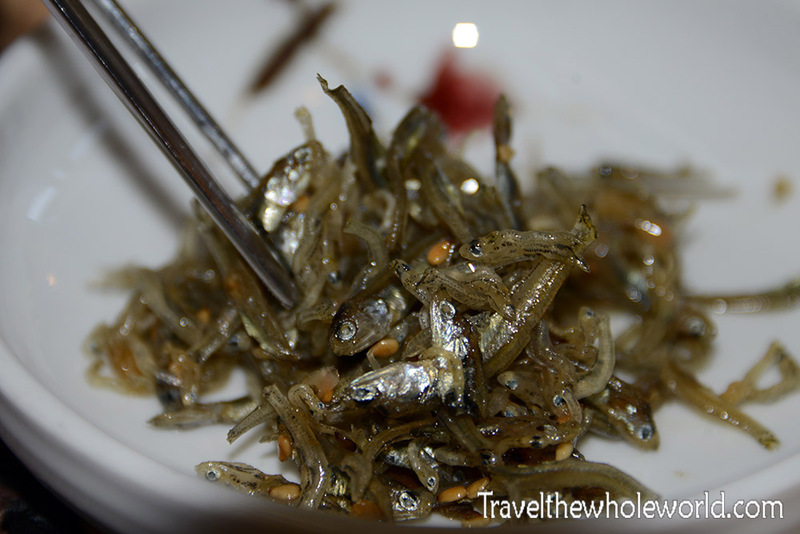 At a restaurant I went to in Gyeongju, they tried to give me tiny fish as a free appetizer. No thanks! Kimchi was something I was a bit neutral on at first. 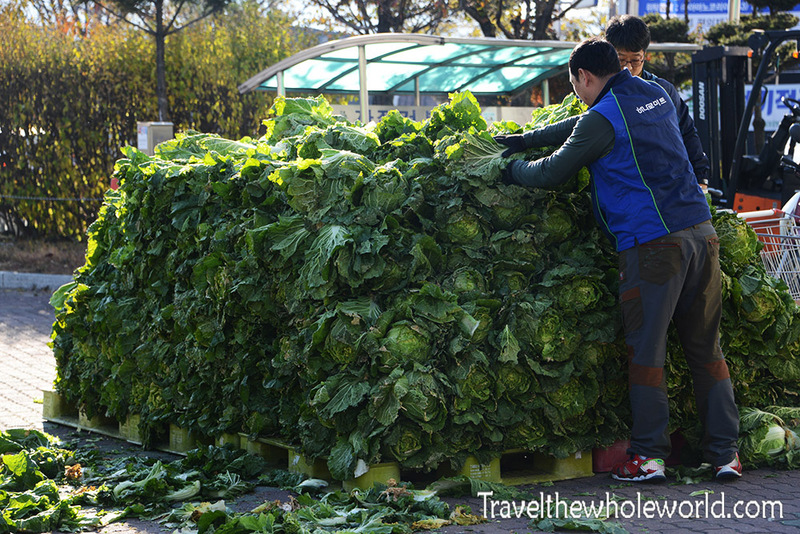 The spicy cabbage based dish was served to me for nearly every meal in North Korea and I became pretty accustomed to it. I was wondering how much cabbage this country goes through, when my question was pretty much answered here! 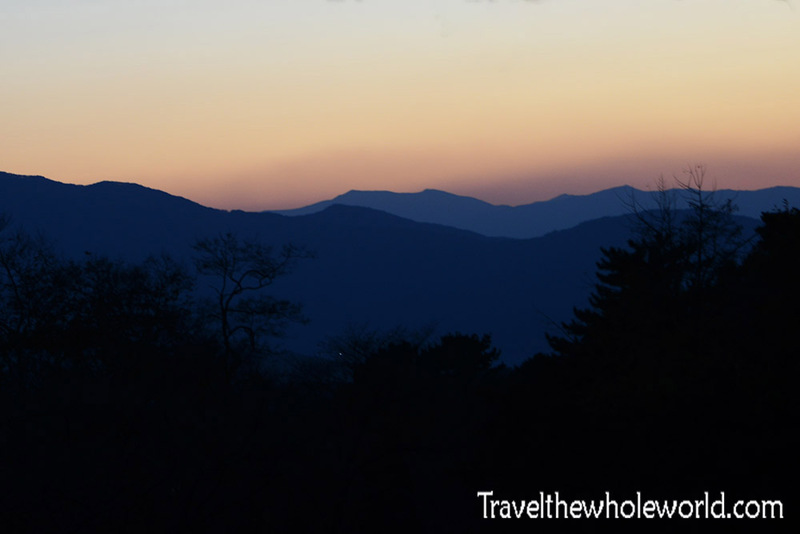 It wasn’t until after I left Gyeongju that I realized I didn’t take any photos of the city itself. There are endless historical and natural places to visit here, but as far as the city itself nothing really stood out. The only photo I took aside from the giant mound of cabbage was this outdoor market. I wish I had taken more photos regardless, but most of the streets just looked like any typical Korean city. 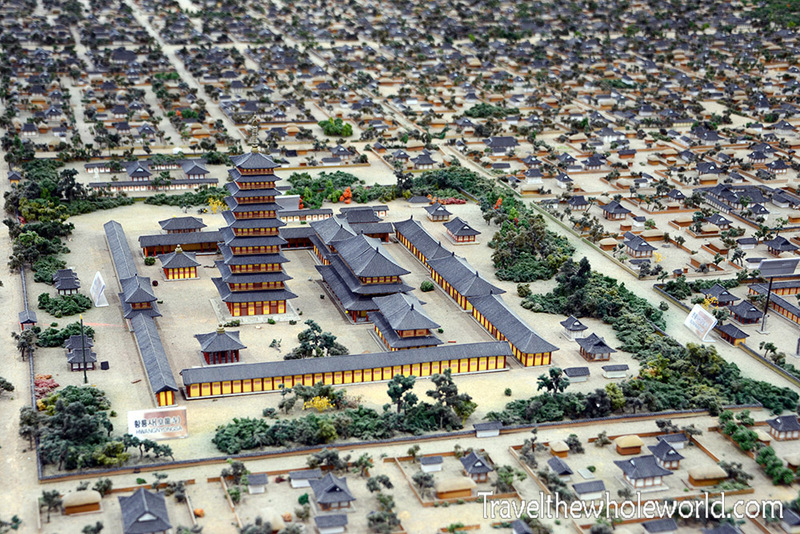 If anything, Gyeongju was unique because it lacked high rises and big buildings. I don’t recall any foreign restaurants in Gyeongju, although I’m sure they exist. The one exception for foreign food here are their coffee shops. 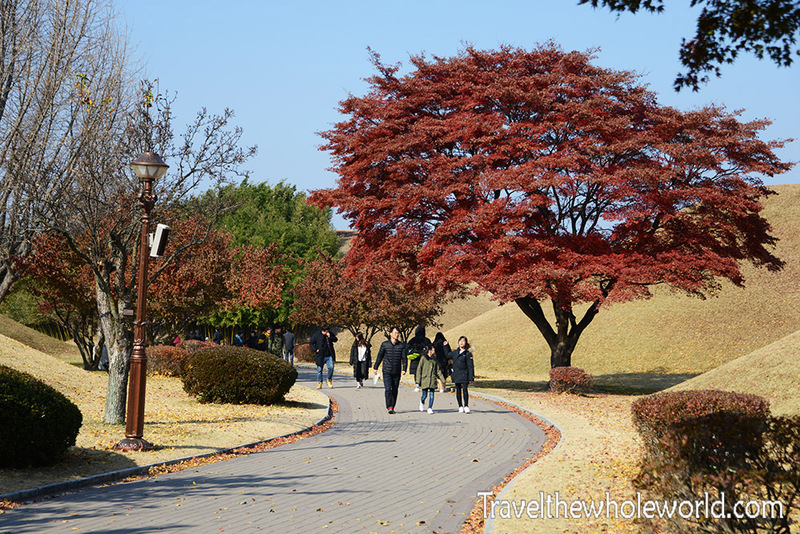 Like Seoul, Gyeongju was also overly saturated by coffee shops. There was one block I visited that had two right next two each other and another a few doors down. 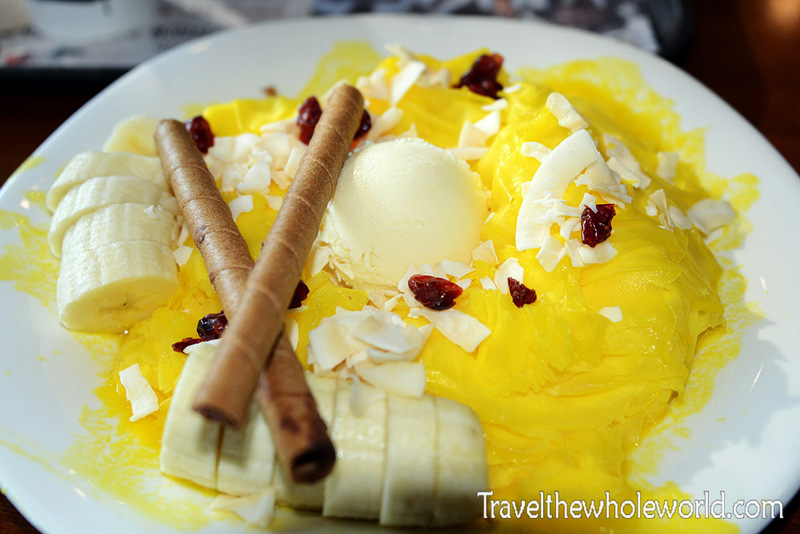 I went to get breakfast one morning at a coffee shop and ordered some mango, cinnamon, banana dish thinking it’d be fruits. It was actually mango flavored ice cream with a banana on the side. Not exactly the best breakfast but definitely a tasty one. 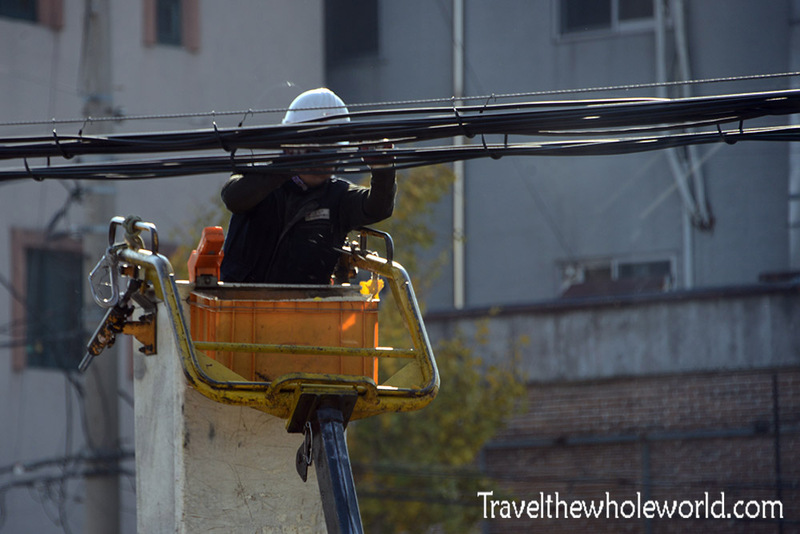 While I was having my dessert breakfast, this power line cleaner came passing by my window. During one of my treks through Gyeongju I somehow ended up crossing through an elementary school. The place got my attention because of their unique statues and decorations. 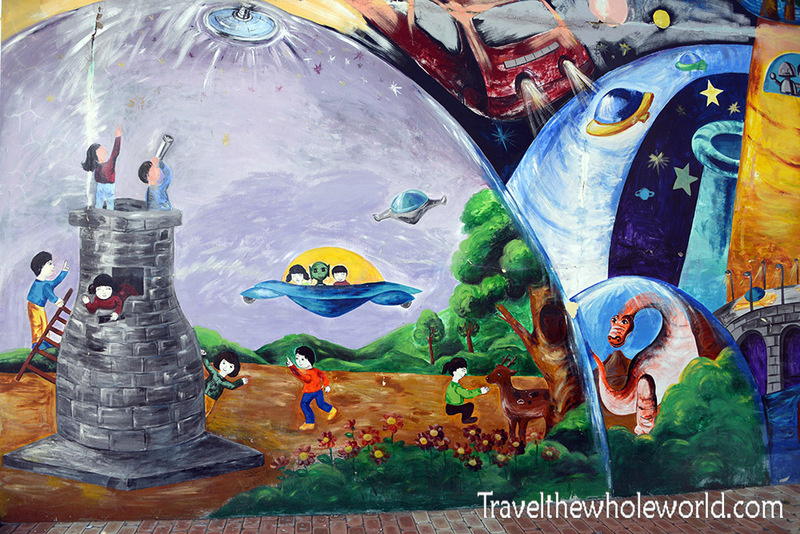 This mural was definitely the highlight. It was a bit odd that it showed some cultural icons of the city such as the astronomical tower, coupled with aliens and dinosaurs. Somewhere in the world a conspiracy theorist will believe this mural proves that aliens built ancient temples and pyramids. The best mistake I made in Gyeongju was making a wrong turn after leaving one of their temples. I was actually trying to go back to the city center when this large building in the background got my attention. The giant building you see is actually part of an exhibition center, surrounded by gardens, restaurants, and even an amusement park named California Beach. This garden had all 12 animals of the Chinese calendar year, similar to one I had seen in Seoul. These however where much larger, maybe up to three times as tall! The exhibition center now acts as an observation tower and museum. Because the center of it is hollow, only the top floors are in use. The photo above shows the view of the garden from the highest floor. The photo below was a large recreation of what Gyeongju once looked like in medieval times, when it was capital of the Shilla dynasty. In addition to the museum, they also had a cafe, some interactive areas, and even a virtual reality game. 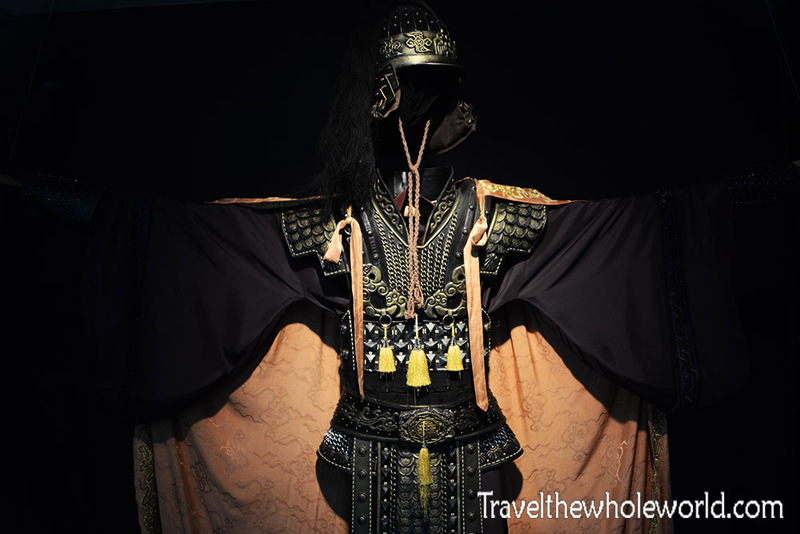 Above you can see some of the medieval armor worn by Koreans hundreds of years ago. Below is an ancient artifact that supposedly dates back to the 4th or 5th century. 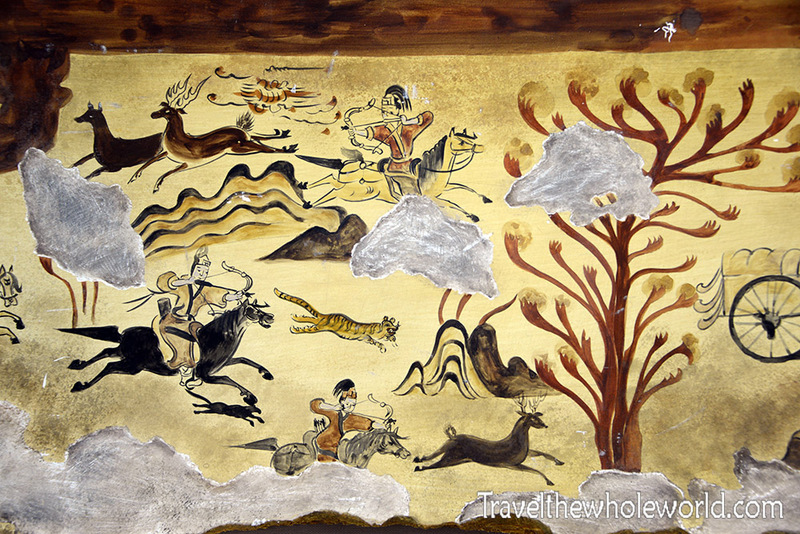 The painting was discovered in the chamber of Muyong Tumulus Koguryo. My assumption is this is a copy since it’s in such great condition! 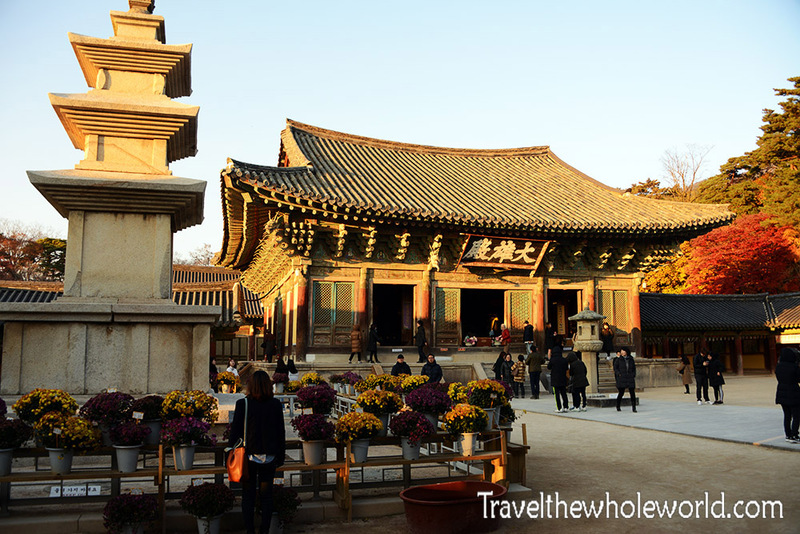 Another famous national treasure in Gyeongju is the Bell of King Seongdeok. 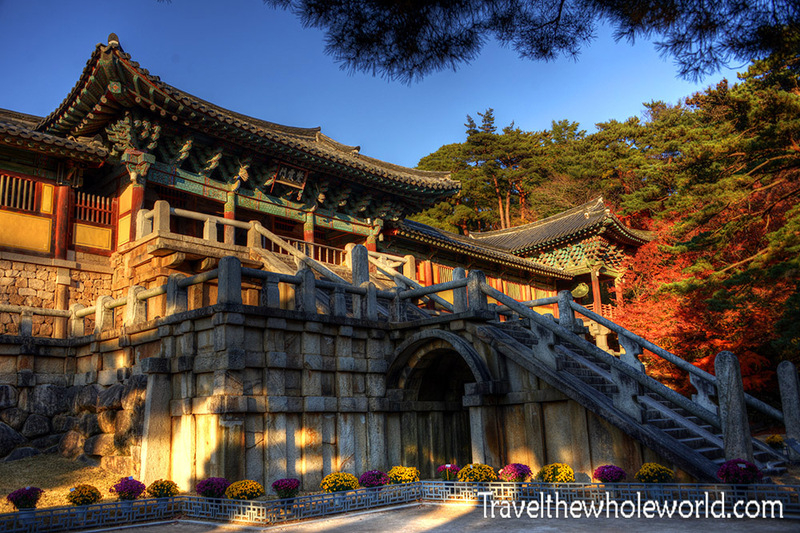 This is the 26th national treasure of Korea, and was originally cast in 771 CE! 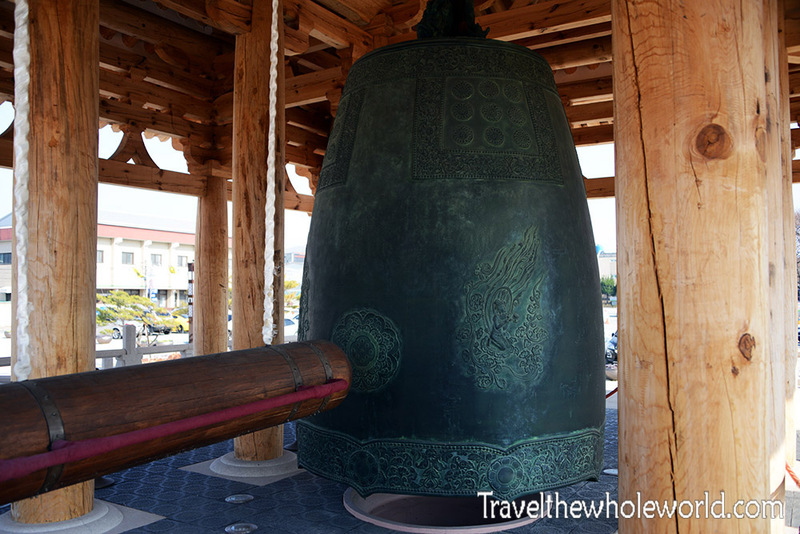 It’s by far the largest and oldest bell in existence in Korea, but this one here is actually a replica. The original is in the local museum which I failed to see. This bell is so massive that it’s said to weigh just under 19 tons (17,000 kilograms). 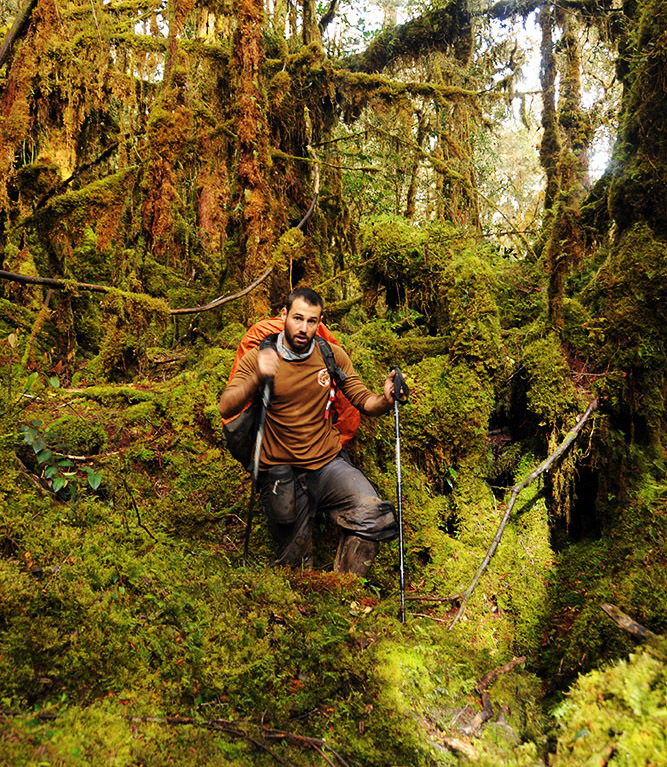 With the right weather conditions, the bell also could be heard up to 40 miles (65 kilometers), away! Below is a photo showing some of the bell’s details. 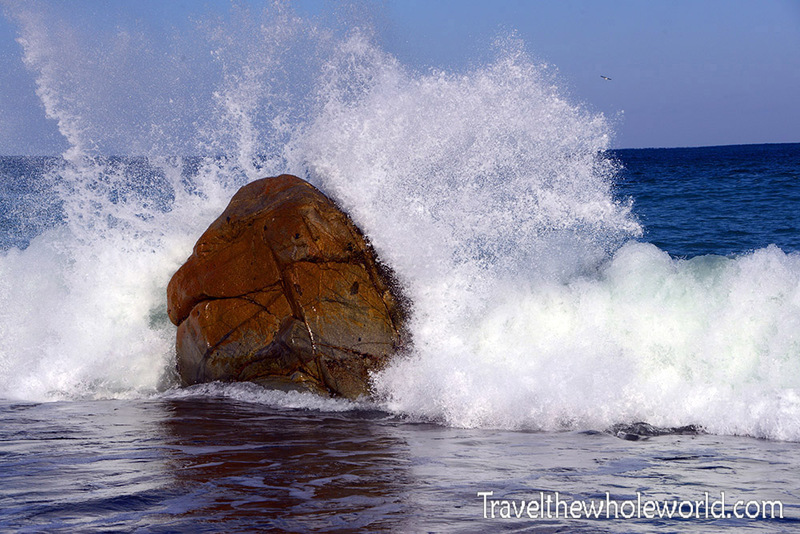 When you’re exploring Bulguska temple in the mountains or in the heart of Gyeongju, it’s hard to image that the sea is just a short drive away. 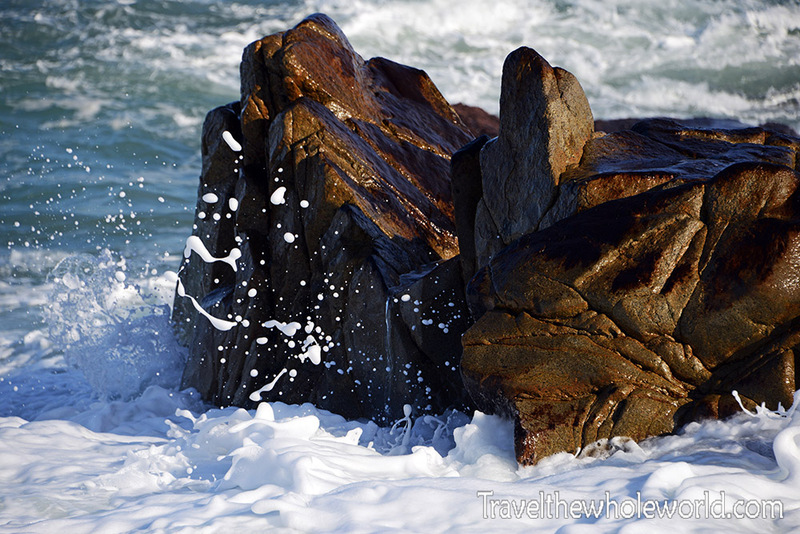 As a matter of fact, these coastal areas are still part of Gyeongju national park. It was still a bit chillly outside, but the air was fresh and the color of the sea was beautiful. It’s always a great feeling to see the ocean again. 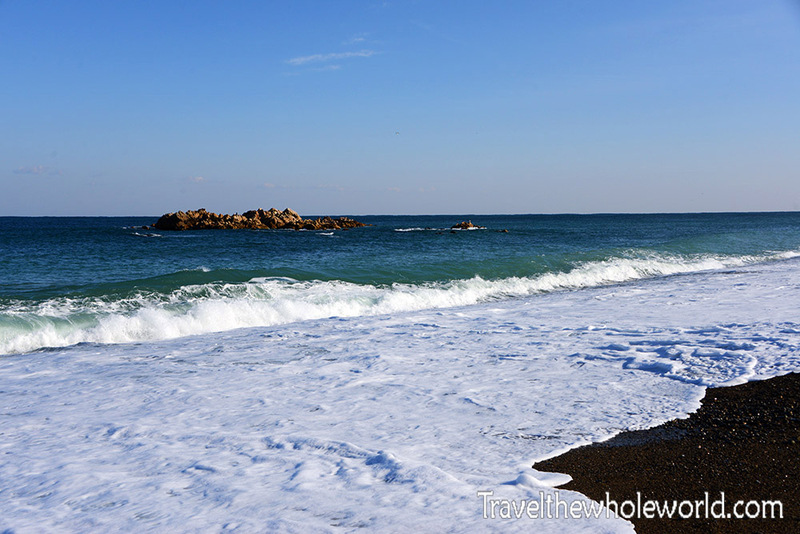 Gyeoungju’s beach was a little different from most of those I’ved visited before. There was a bit of trash left behind on the shore, and even worse plenty of animal parts as well. I’m not sure how or why this happened, but my best guess was some butchers decided to pitch the remains here. I saw at least three heads that looked to belong to goats or sheep. It was kind of a grotesque surprise to my otherwise relaxing beach walk. 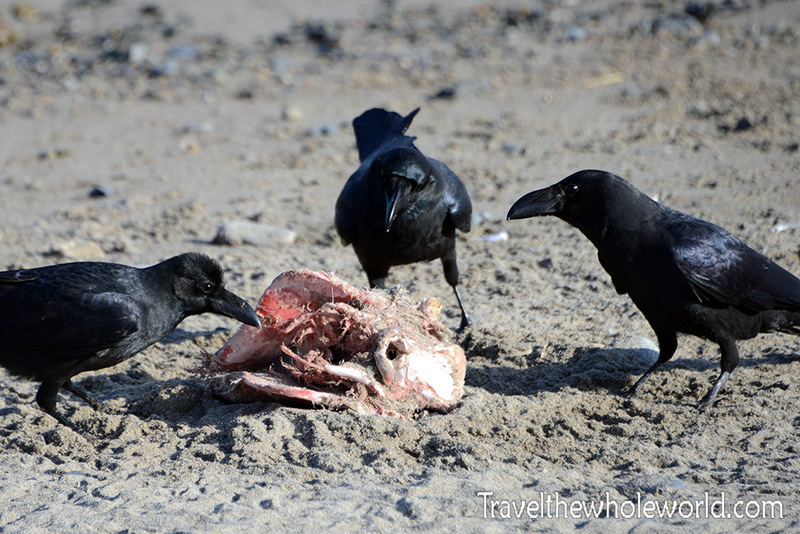 These crows didn’t seem to mind however! A year before I was in Gyeongju, I fulfilled a childhood dream of buying a live lobster at the local grocery store in Virginia and releasing him into the ocean. When I was in Dongtan, Korea and saw the live octopuses and squid in the tanks along the streets, I had every intention of doing the same thing. 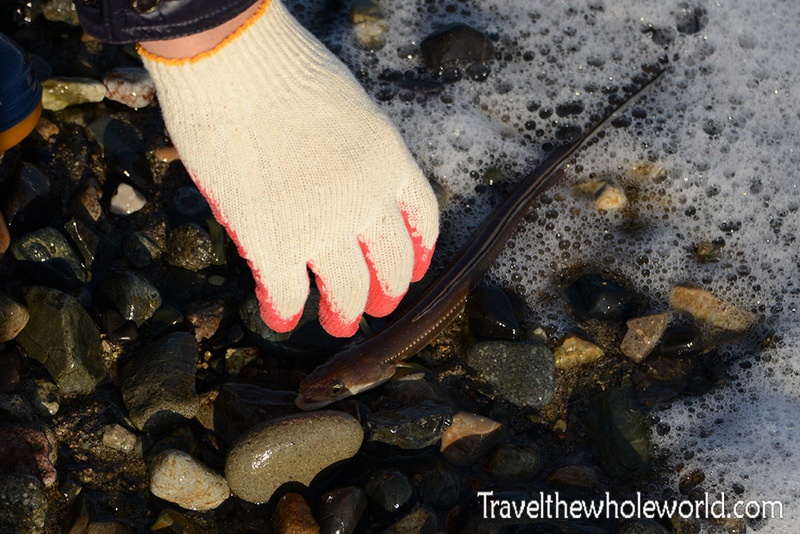 I never made that work sadly, but I got the same satisfaction after seeing some Koreans doing the job with eels. I’m not sure the purpose of their release, but there were three Korean men, each with a full bucket of live eels, who were throwing them into the ocean. 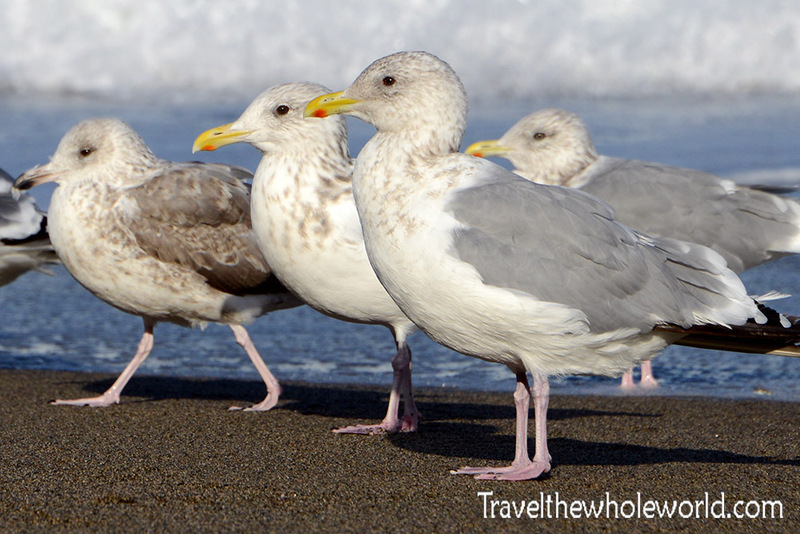 Aside from the eels and goat heads, the only other wildlife I saw here were seagulls. Some of them even tried to pick up an eel and fly away but luckily the good Samaritans prevented that from happening. Most of the beach was made up of black sand, but every once in a while you’d get some large boulders or small rock formations. I even saw a guy fishing from one of them, while I just enjoyed the views and the dramatic waves that would occasionally crash onto the shore. This little beach excursion was a perfect end to my Gyeongju trip, and somewhat made up for Jeju. The island of Jeju is filled with natural wonders and one of the most beautiful places in South Korea. It’s definitely going to be the focus on my next trip to Korea!